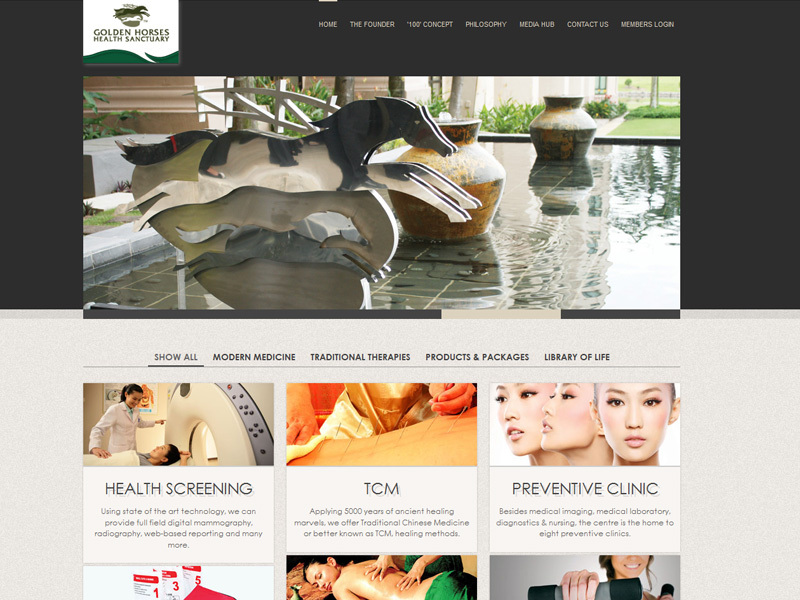 1 September marks as a milestone for us as we duly launched our brand new website [www.ghhs.com.my]. A fresh beginning for our Internet Marketing efforts as we take a step forward toward a more mobile and savvy manner. 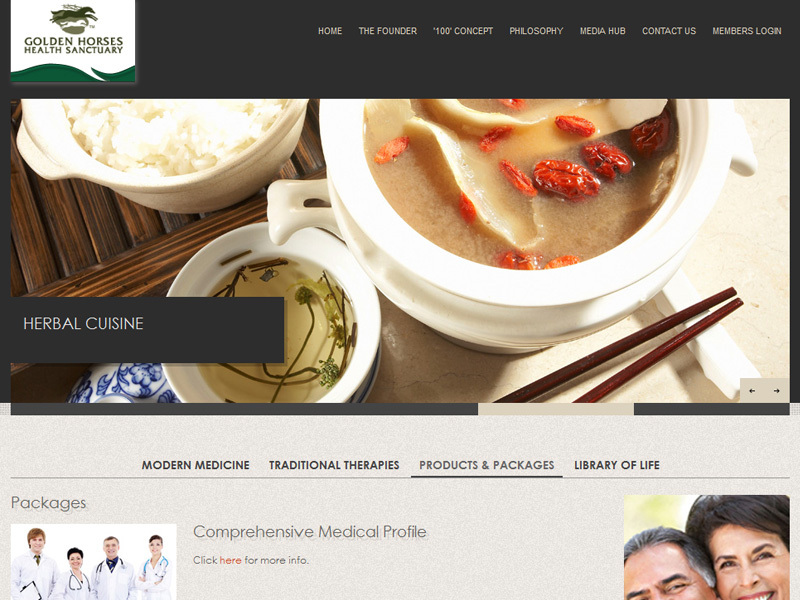 The website is done on the HTML5 format and is also viewable on most mobile phones and tablets. 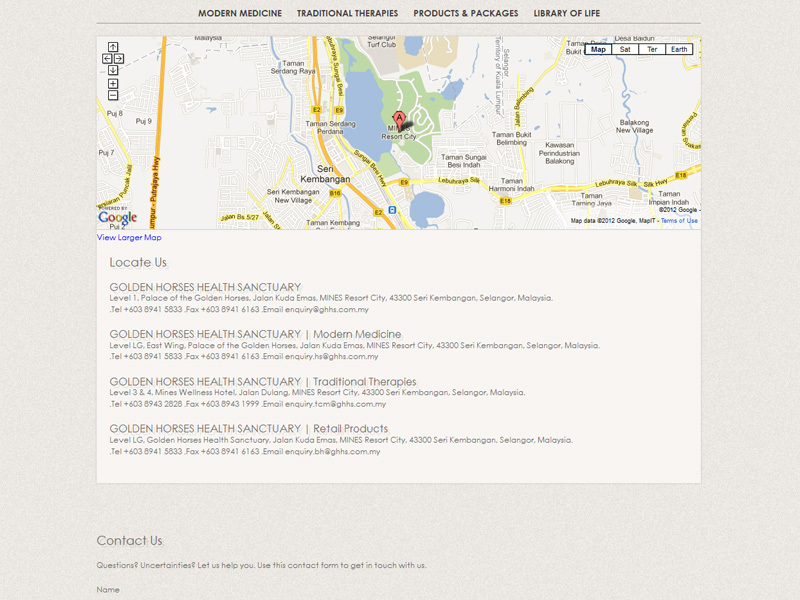 Services are now broken down based on Golden Horses Health Sanctuary’s “East meets West” concept and philosophy. 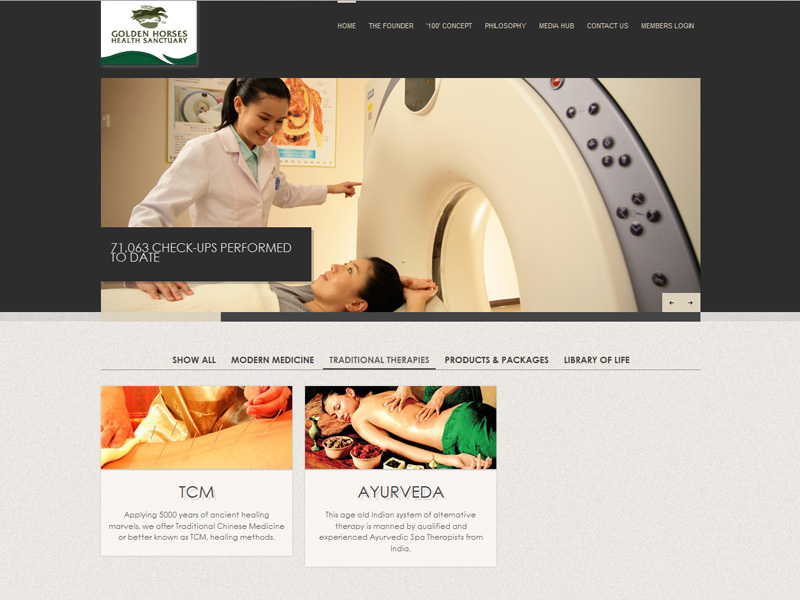 Modern Medicine now holds Health Screening, Preventive Clinic and also Bains Physio. Traditional Therapies on the other hand includes Traditional Chinese Medicine (TCM) and also Ayurveda. 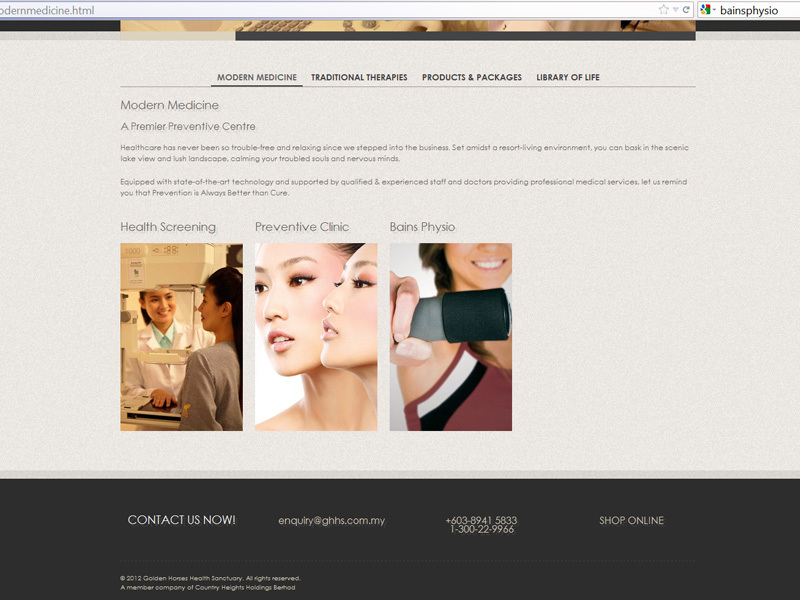 Products & Packages consists of the Retail Products, Health Packages and also the latest Promotions. Our knowledge-based section, Library of Life maintains as it is. The background of the logo now spots a new look, an identity that will be carried out throughout the parent company’s related companies. 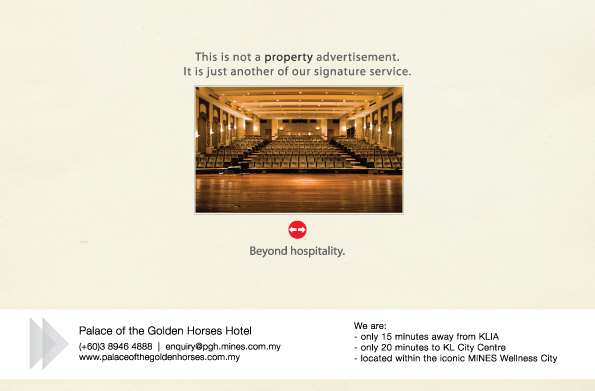 Country Heights Holdings Berhad will be carrying a new Corporate Identity by 2013, hence the first move done by Golden Horses Health Sanctuary. 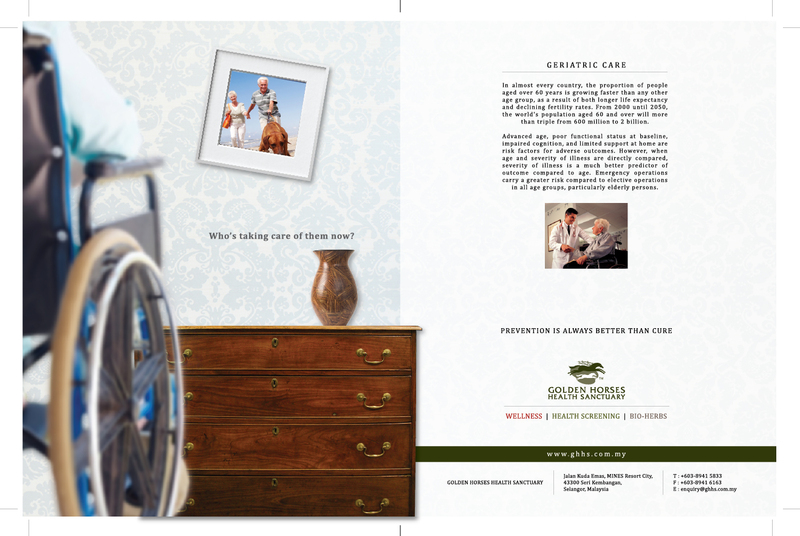 Just completed another print ad for Golden Horses Health Sanctuary recently. Minimalist; Elderly on a wheelchair. So, this ad basically makes the viewer remember their parents or grandparents and how they have been doing. The slanted photo frame that includes the punch line “Who’s taking care of them now?” indicates the elderly not being able to straightened the photo frame because of their disability. Geriatric Care is the care for the elderly. And we should be the one taking care of them. Meant to be touching, this ad plays with the emotions of the viewer by making them think of their parents or grandparents. Some old ads that was done in 2011. 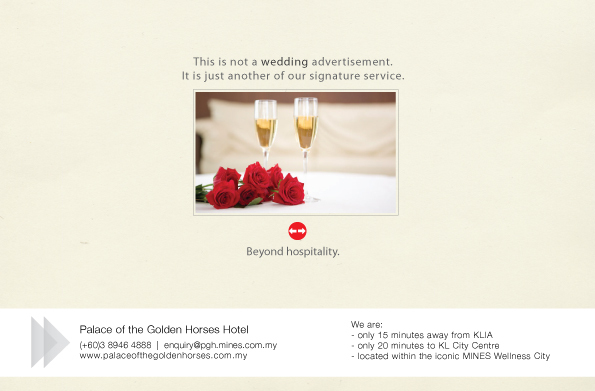 Ads were placed in Going Places magazine, Malaysia Airlines In-flight mag. 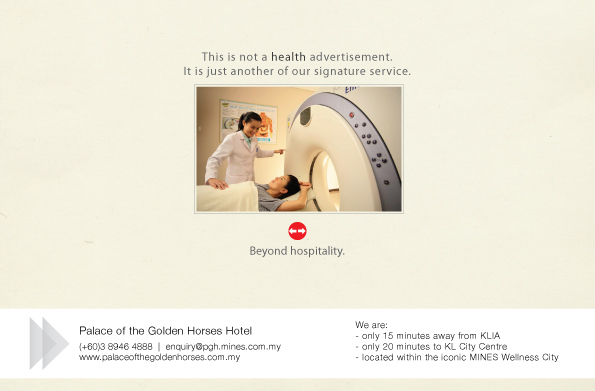 Also available in iPad, hence the red arrow icon being visible in the ad. User can click on it to view more photos here. Just completed a last minute project. 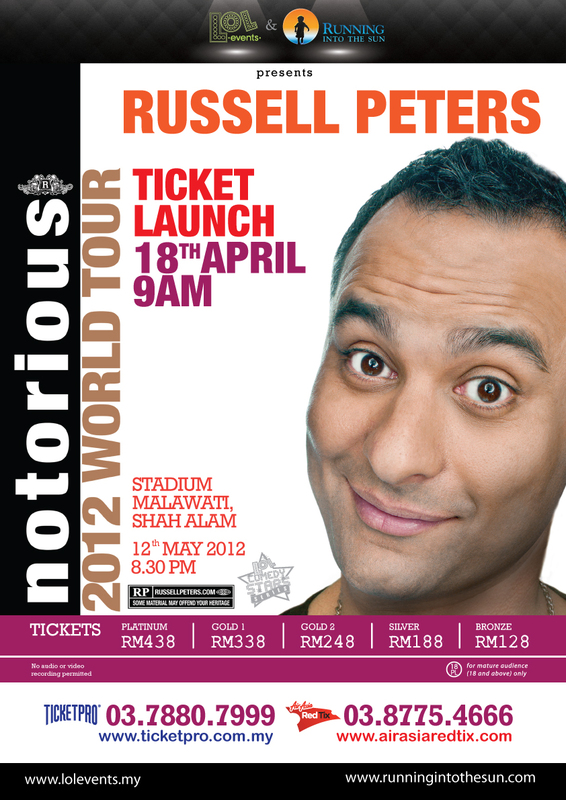 A 20-foot long banner for an event – Russell Peters’ Notorious World Tour : Malaysia. Yes, Russel is coming to town and Golden Horses Health Sanctuary is a proud sponsor of this event. With the title that states laughter is the best preventive medicine, the whole idea of this sponsorship is to create brand awareness and yes, we are fun too! Now, believe me, with Russell around, laughter definitely IS the best medicine.